Are you pregnant? Apart from making improvements in your diet regime and waiting for the little bundle of joy arrive, there are a number of other things you need to do to ensure a healthy baby and smooth delivery. Knowing about some things to avoid during pregnancy is one of them. An infection known as toxoplasmosis is common infection among birds and mammals, including humans. ‘Toxoplasma gondii’ (T. gondii), a parasite found in cat faeces, cat litter, or soil can lead to toxoplasmosis which poses a risk of miscarriage. This might even cause blindness and brain damage in an unborn baby. 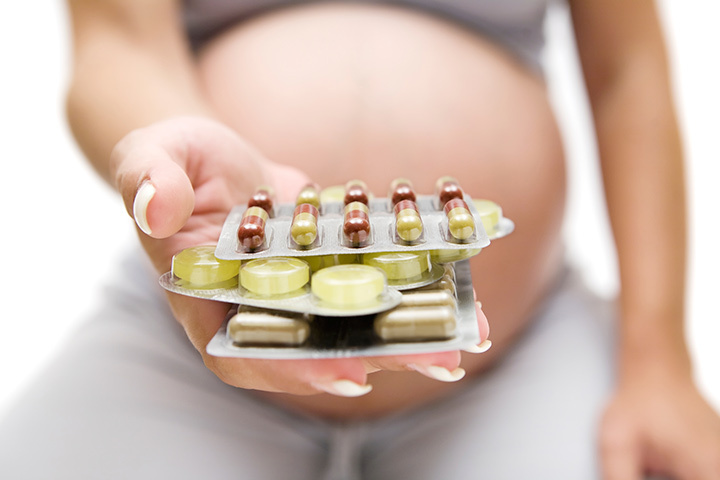 Make sure you check labels in detail to make sure it does not contain any safety warnings for pregnant / nursing women. Avoid if you feel the label is toxic. Exposure to naphthalene found in detergents, moth balls, and cleaning agents can lead to blood cells damage and a condition known as haemolytic anaemia. According to studies, it’s safe to color hair while pregnant. However, some studies have revealed that very high doses of the chemicals in hair dyes may cause potential harm. Many women wait for around 12 weeks of pregnancy to color their hair. When coloring your hair yourself, wear gloves and leave dye on hair to a minimum time to cut down the risk. Modern paints do not pose risk of fumes harming the baby. However, you still need to understand the level of risk. House renovation can increase mother’s exposure to lead. Lead-based paint can spread lead dust into air. This is harmful for mother and the baby. So avoid painting until the baby is delivered. Not much proof is available on risks related to use of saunas and Jacuzzis during pregnancy. However, it’s still advisable to avoid them due to the risks of dehydration, overheating, and fainting. Pregnancy can make women to feel warmer than normal. Thanks to hormonal changes combined an increase in supply of blood to the skin. Women may feel uneasy and even faint due to these hormonal changes in the body. Activities that make one feel hotter should be avoided during first week of your pregnancy and even afterwards. Overheated body makes more blood to flow close to skin so that you can stay cool by sweating. Less amount of blood flows to internal organs like brain which makes one faint. Pregnant women tend to develop skin sensitivity. Use of sunbed during pregnancy can burn your skin. Sunbeds are known to emit ultraviolet (UV) rays (similar to harmful radiation found in sunlight). Extended exposure to Ultra Violet rays can increases one’s risk of developing skin cancer. These rays can be damaging to eyes. It is important that you avoid having an X-ray during pregnancy. Your medical practitioner is the best person to decide whether a treatment can wait until your delivery. They will analyze overall benefits of treatment compared with risk of x-ray. If benefits outweigh the risk, the doctor might consider an X-ray. Risks posed from x-ray radiation are primarily related to stage of pregnancy and the dosage amount reaching the unborn baby. Small risks of birth defects and mental and physical issues are reported. Exposing the fetus to radiation may pose risk of cancer. Your dentist should know about the pregnancy. Dental X-rays are usually avoided during pregnancy and most dentists wait until you’ve delivered. Certain procedures might affect unborn baby. So it is important that you let your doctor know you are pregnant. Make sure your gynecologist or doctor is aware that you are breastfeeding. Certain procedures might involve a radioactive substance injected into vein. This takes some days to flush out of body through urine. Within this timeframe, some substance may be passed on to the child through breast milk. How Many Teens Smoke Marijuana in the World Today?